Brief Mods : Extractors, Custom Exhaust, Coil Over Plug Ignition, Larger Injectors, Cold Air Induction Kit, Quaife ATB Differential, K Sport Coil over, Half Roll Cage and other suspension modifications. 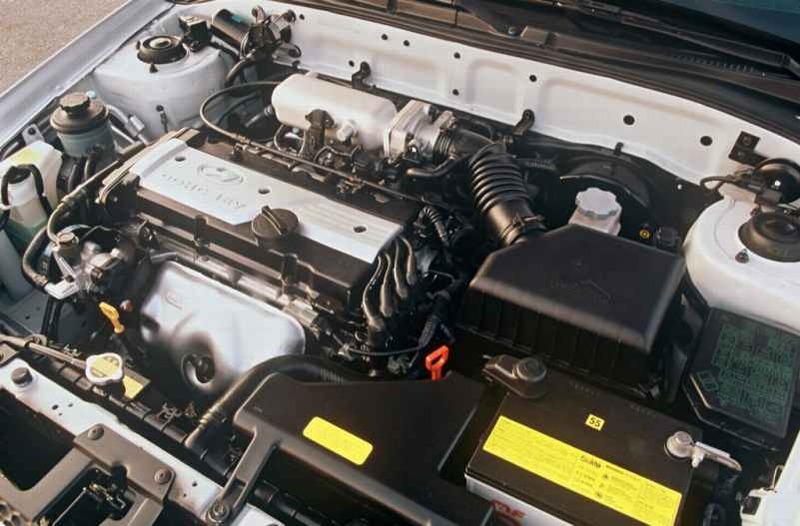 This Hyundai Accent LC Model started out completely stock with the factory G4ED Alpha 1.6 L 16-valve DOHC engine. Replacement of the stock 1.6 Alpha Engine with the later model 1.6 Alpha II Variable Cam Timing Engine. Horsepower peaked at 110 hp at the hubs which was around 15hp more than the factory setup, with a higher working rpm range and improved acceleration. Nothing fantastic over the stock tune but certainly noticeable for such a low horsepower vehicle. The Second round of modifications began with the production of a Quad Throttle Body system to replace the stock single throttle body manifold. 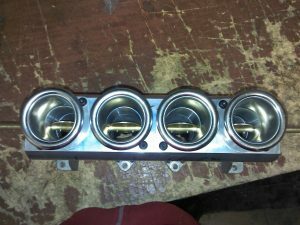 The factory intake manifold was used as a base and fitted with individual 38mm butterflies and ram tubes. 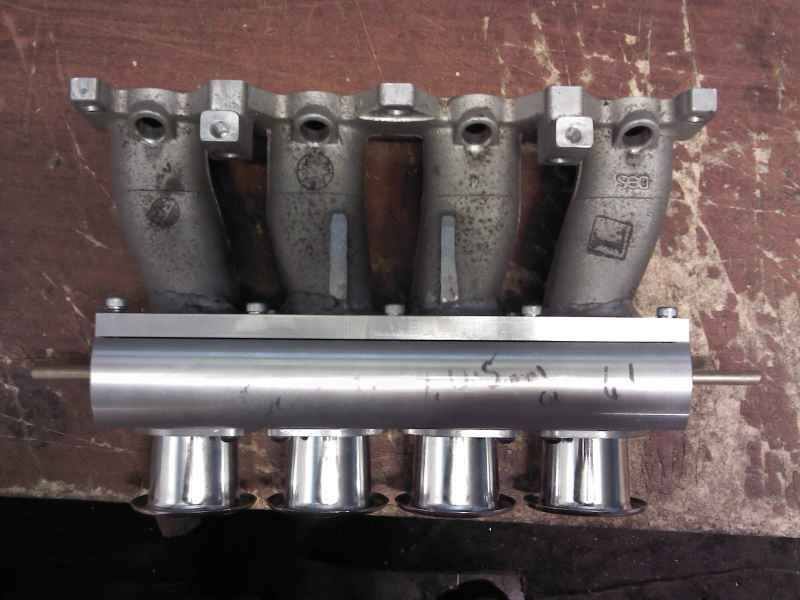 The factory manifold has a very close to vertical path running into the cylinder head for maximun airflow. 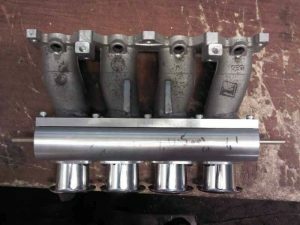 The design retained the factory fuel rail and injector positioning. 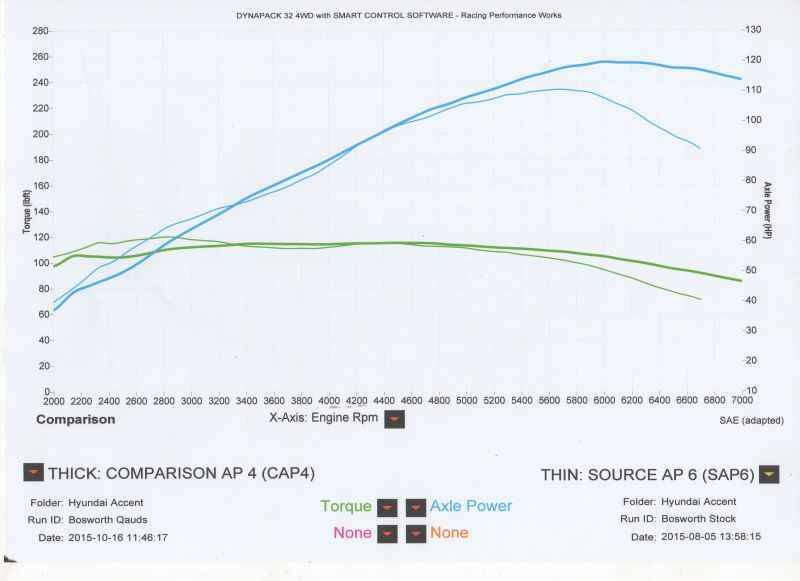 As can be seen on the dyno graph, the vehicle performance above 5500 rpm is improved over the original motor design. Throttle response on the track was significantly improved out of corners, although the low horsepower values compared to other vehicles, shows up on the long straights. But in the wet weather, with its lightweigh chassis, there are very few vehicles which can match its performance on the track. 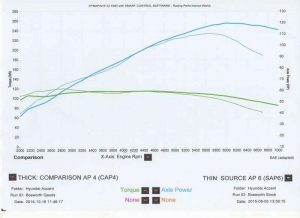 The Dyno graph shows the power from this vehicle with the comparison between the stock manifold and the new ITB Manifold. 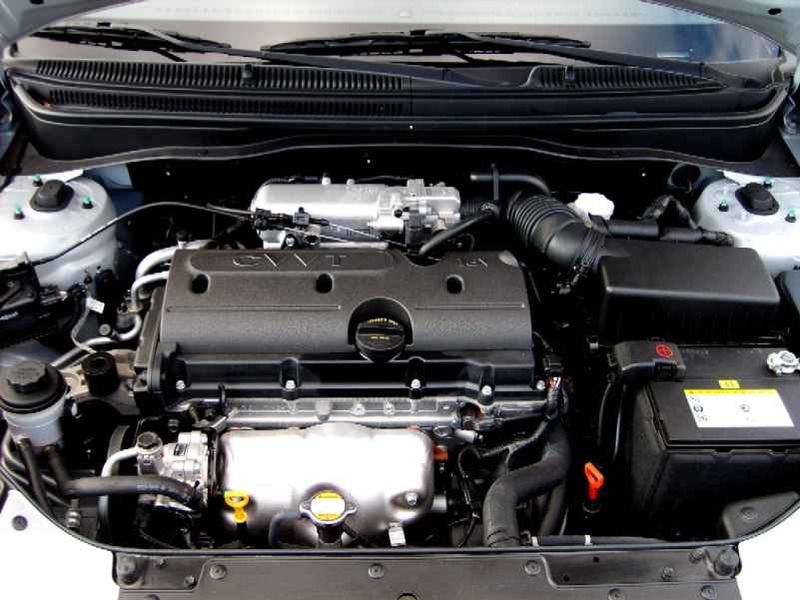 Next step for this vehicle is a custom built high compression G4GM 2.0 CVT Race Engine with ITB’s, designed to be run on E85 with 15 : 1 Compression Ratio. 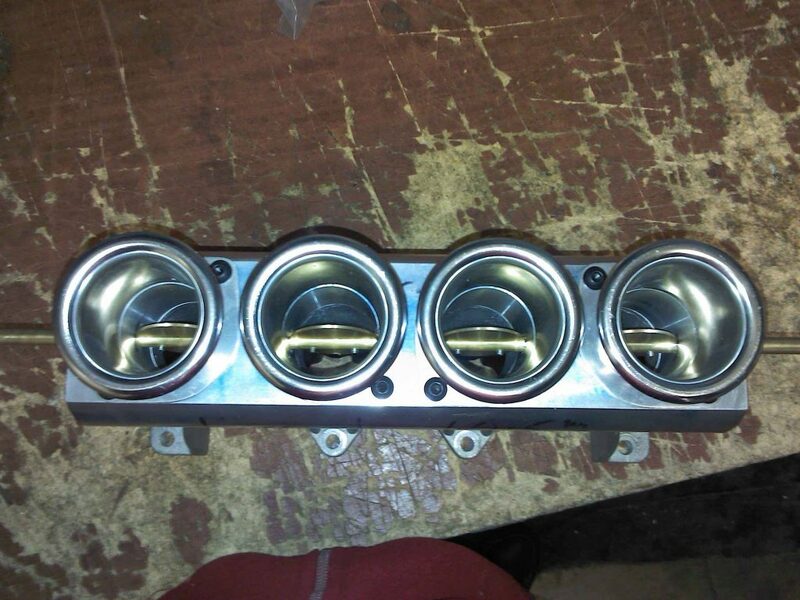 This is in the process of being built with the cylinder head getting all of the highest level of modifications including over size valves, porting work, valve springs and camshafts. 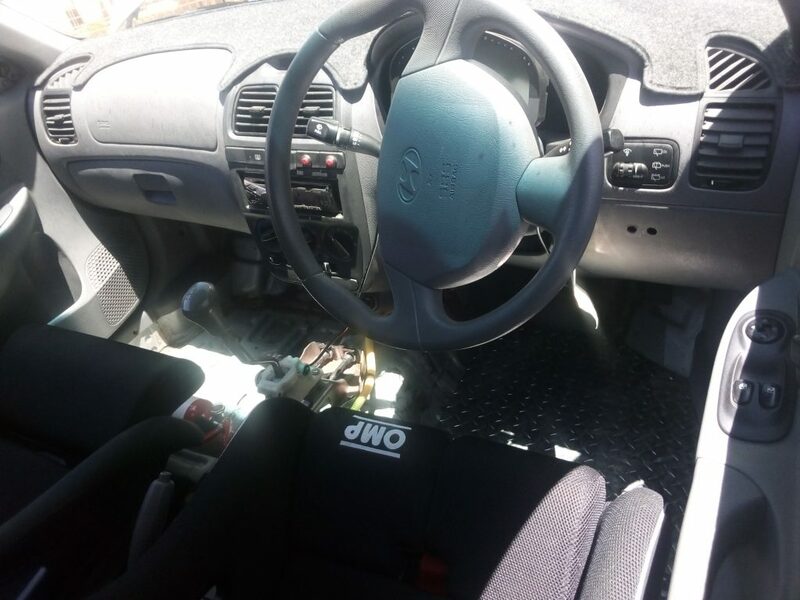 A Haltech IQ3 Logger Dash with GPS input was fitted up to the vehicle as a Quaife ABT differential had been fitted and the stock speedo gear input was unable to be used, this allowing a road speed input to now become available. 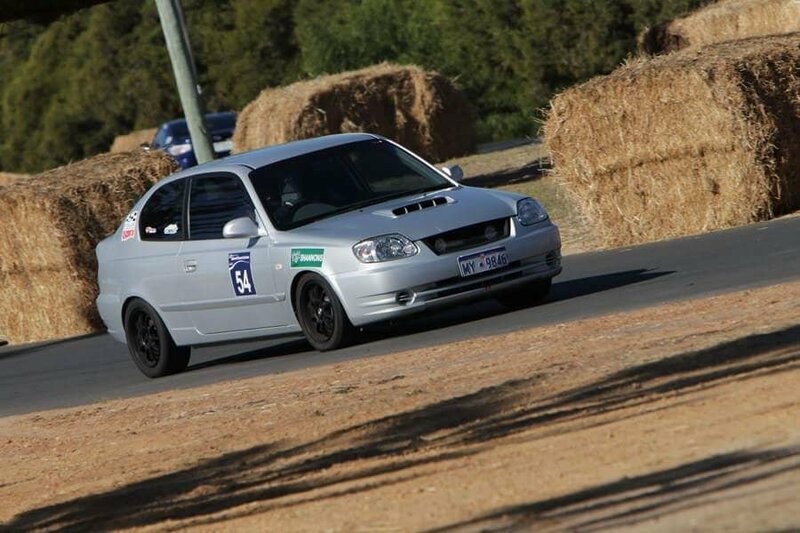 Vehicle is used at Barbagallo and Collie Speed Event series racing and other track events.